These cloaks for kids are great for dressing up as a King, Queen, Prince or Princess when role playing. 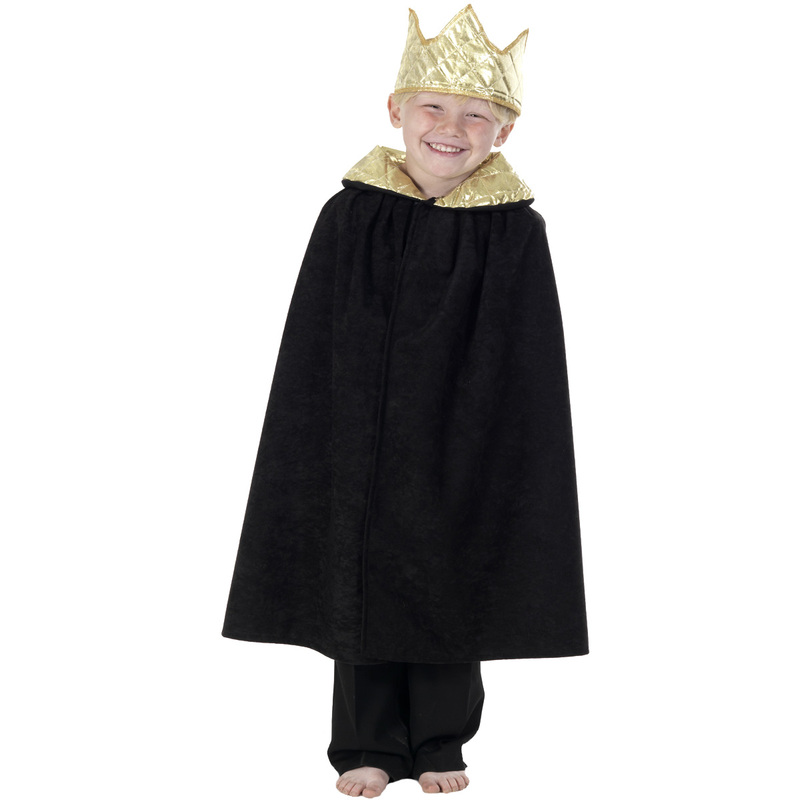 The cloak is trimmed with a gold collar and comes with a crown. 5 Colours available (red, purple, blue, black, pink). One size fits all - 3 to 9 years 140 cm 55"